Our huge Operation Spirit of Freedom mission in Peru and Colombia has concluded. We began with nothing and had to build our temporary rescue center in a field of alfalfa on an industrial lot! But we successfully rescued over 100 animals including lions, bears, a tiger, a mountain lion, and dozens of monkeys. In Peru, every circus with wild animal acts has been tracked down, the animals removed and taken to ADI’s temporary rescue center near Lima where they were nursed back to health. Over 70 native wild animals including monkeys and Andean spectacled bears, Cholita, Lucho and Sabina have been relocated to their forever homes in Peru – Amazon sanctuary habitats specially built by ADI. Some lucky ones like Ted the tortoise and James the macaw went back into the wild, with others scheduled for wild release after rehabilitation. In Colombia, nine lions were handed over following the circus ban, cared for by ADI in a Government facility until it was time to take them home to Africa – ADI hopes to ensure we have our own facilities in Colombia as we have in Peru in future. The largest part of the mission was moving the 33 lions, who endured hell on earth in Latin American circuses, to their forever home. We chose Emoya Big Cat Sanctuary, where they will live out their lives under the African sun. The first phase is complete and in the coming months phase two will get underway – the construction of large natural bush enclosures where the lions will be released once they have adapted to their new home. This epic rescue was only possible thanks to the generosity of our loyal supporters who have been with us every step of the way. 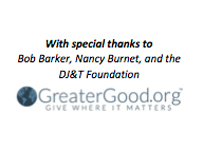 With very special thanks to Bob Barker and the DJ&T Foundation whose support of ADI is vital to our work around the world. Before ADI could even start rescuing animals from circuses in Peru, we needed a means to collect them and somewhere to put them. For lions that meant making custom-welded holding units that could fit on the backs of trucks so the lions could be removed from circuses and taken to our rescue center. At the rescue center, these units were joined together to form larger units and attached to grassy exercise enclosures for the lions to socialize and play in. A very special thank you to Bob Barker and the DJ&T Foundation whose support of ADI enabled us to embark on this ambitious rescue mission. Thank you. Your support enabled the biggest ever circus seizure operation to get underway. Thanks to the ongoing backing of ADI supporters, as we completed the mission we had over 40 big cat units in place, attached to grassy exercise enclosures, and surrounded by 3m high, electrified fencing. For animals like Cholita the bear, Pepe the spider monkey, and Mufasa the mountain lion, this was the stepping stone to their new lives in the forest, and soon our rescued circus lions will be heading on to their new African home. Flying 33 lions meant 33 travel crates costing $1,500/ 1,000 GBP – that’s almost $50,000 worth of crates! Luckily, some wonderful ADI supporters came forward to sponsor the crates, and their names appeared on the crate of a lucky lion heading to Africa! The lions travelled in ADI-designed travel crates that exceeded the standards set by the International Air Transport Association. Built locally, the extremely strong crates are well ventilated, with a secure mesh viewing panel with wood shutter, a heavy steel, braced door and built in water troughs that the ADI team topped up during the journey. ADI was meticulous with the loading plan, with named and color coded crates ensuring that families were next to and could see each other and that some animals were kept at opposite ends of the aircraft! To fly the 33 lions rescued from circuses in Peru and Colombia to their new life at Emoya Big Cat Sanctuary in South Africa, ADI specially chartered an entire aircraft! An ADI team was on board to constantly monitor the lions, ensure the correct temperature and to provide the animals with water in the biggest airlift of its kind. The lions have endured too much to ever be returned to the wild, so they will be protected and cared for in conditions as close to their natural life as possible. Their flight of almost 7,000 miles home signalled the end of the use of wild animals in circuses in Peru. The suffering is over. ADI is grateful to GreaterGood.org and The Animal Rescue Site for partnership in raising the money needed for the Operation Spirit of Freedom flight. The airlift has also been made possible thanks to numerous professional partners, some of which have donated services or provided services at a discounted price. ADI thanks ethical cargo company Priority World Service (PWS) who chartered the plane that carried the lions safe and sound to Emoya and, in South Africa, Spherical Logistics and Swissport International at Johannesburg airport, fencing manufacturer Bonnox, Lood Swanevelder Fencing, Fann Venter, Ibubesi Transport Logistics, and Chill Box, as well as the airport staff around the world.